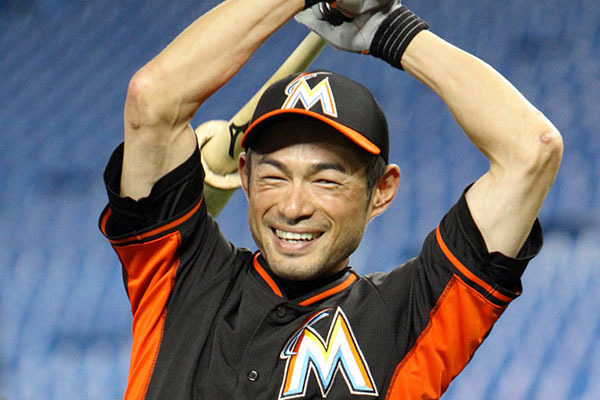 Japan’s most prolific hitter reached another landmark on June 15 as Miami capped off the final game of their three-game series against the Padres in San Diego. In true Ichiro-fashion, he lead off the game, beating out an infield single to tie Pete Rose’s legendary elite-level professional hit record of 4256. Then at the top of the ninth, he pulled out a double to right to surpass the mark. Unfortunately, this record does not come without controversy as Rose’s hits were all achieved in Major League Baseball (MLB). 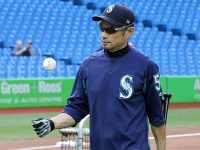 Ichiro’s hit total, of course, comes as a combined effort with 1278 when he played for the Orix BlueWave in the Nippon Professional Baseball (NPB) and the other 2979 were MLB hits while playing with the Mariners, Yankees and Marlins. Some argue that his hits in Japan should not count towards this figure. Pete Rose told USA TODAY, “If you say those hits in Japan are professional hits, then my hits in the minor leagues are professional hits, too.” Whether you recognize the high standard of play in NPB to be equal to that of MLB or of American minor leagues, it is still an amazing accomplishment. So perhaps the debate should be, could Ichiro have topped Rose’s record if he played his entire career in the MLB? Here’s another way of looking at this, and please keep in mind Suzuki is currently still playing in the MLB with a .349 batting average over 125 at bats this season and 96 games to go. Some of the major differences between the leagues is that NPB play 18 games less than MLB. Also, the fields are smaller, which is advantageous for home run hitters but not necessarily for contact hitters. NPB also cap their games at twelve innings allowing ties. With those differences in mind, it’s also important to break down the numbers. It took Ichiro 14334 plate appearances to achieve the new record while it took Rose, 15890 to reach 4256. Also, baseball in the ’60s and ’70s had pitchers go much deeper in innings with much fewer relievers used than in the 2000s. The average league leading innings pitched from 1960-1979 is 328.35 with 1.23 relievers used on average per game. Stats available from 2000-2003 indicated 258.4 and 3.59 respectively. 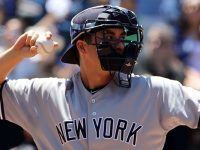 Unfortunately complete numbers are not available, but trends were decreasing in innings pitched for starters and increasing for relievers, providing fresh arms and specialized pitchers to face certain batters. Regardless, it’s an incredible accomplishment. 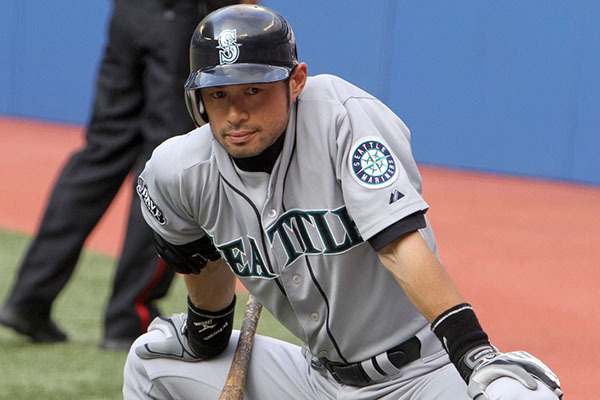 Suzuki began his illustrious MLB career with the Seattle Mariners in 2001 at the age of 27. While having great success in the NPB league, many analysts doubted he would perform as well in America. Prior to his debut, only few Japanese born players have made the majors, and they were all pitchers. Silencing his critics, Suzuki quickly started where he left off in Japan amassing several major accomplishments. Suzuki is now only 21 hits away from the next milestone of 3000 MLB hits. 1994-2000 Pacific League All-Star, Golden Glove, Batting Champion and Best Nine Award. 2001 – American League Rookie of the Year, Stolen Base Leader, Batting Champion, Silver Slugger Award and MVP. 2001-2010 – American League All-Star, Gold Glove and 200-hit season (the only player to reach 200 hits in 10 consecutive, the next highest is 8 seasons held by Willie Keeler set in 1901). 2004 – MLB most hits in a season (262 hits, previously held by George Sisler with 257 for 84 years). In fact, he is the only player since 1930 to earn over 240 hits in a season which he did twice, the other time was in his rookie year with 242. 2007 – All-Star Game MVP (3 for 3, 2 RBI and 1 run, and the only inside-the-park home run in All-Star Game History).